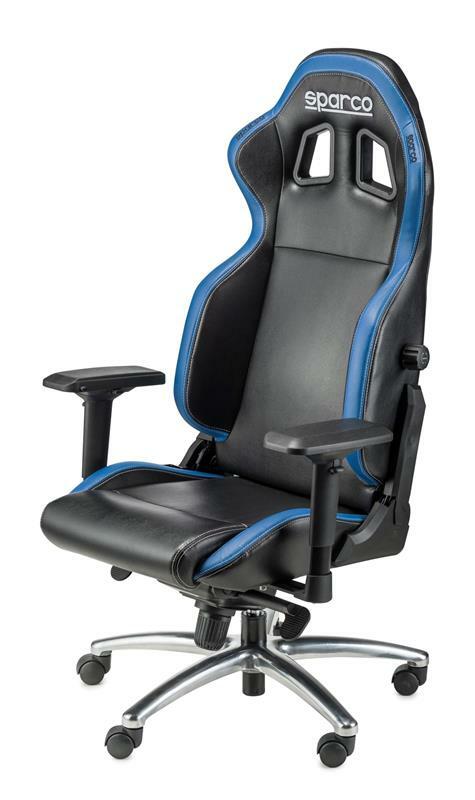 Sparco Gaming Chair - Respawn SG-1 UNIVERSAL - Pann Auto Performance - San Diego largest aftermarket automotive performance parts - What do you drive? The Sparco Respawn SG-1 is a replica of a Sparco race seat designed for the gamer. The Respawn SG-1 features a lower, wider seat for maximum comfort. The reclining back has adjustable lumbar support. The back reclines features a safety mechanism that stops the back from reclining more than 150 degrees to help prevent a tip over. The Respawn SG-1 comes complete with a polished aluminum base, an SGS/ BIFMAX5.1 / EN1335 certified piston, rocking mechanism and 5 sturdy wheels. The Respawn SG-1 has adjustable arms with 4D multi-directional movement for the perfect set up. The Respawn SG-1 is available in 3 colors. WARNING: This seat is not a car seat, DO NOT USE IN VEHICLES.